Heat your oven to about 180°C. Sift your flour, salt & baking soda into a bowl then pour your sugar in. In your blender (or bowl if you can’t be bothered with blender – I find it easier) pop your eggs, milk, butter & mashed banana. Blend/whiz/whooz/beat, however you do it. 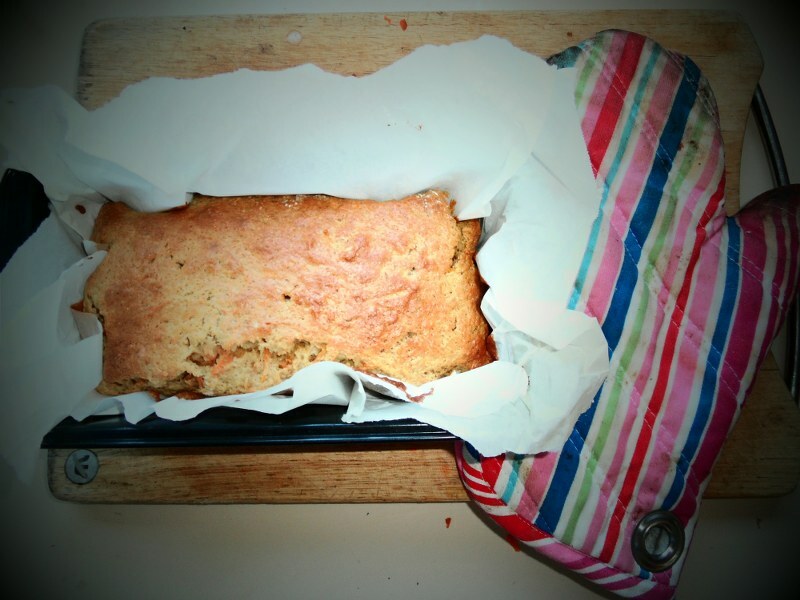 Line a loaf pan with baking paper (or grease it up), pour your mixture in and pop into your nicely heated oven. Bake for about 45 minutes – stick a skewer in at that point. If it comes out nice & clean, it’s ready. If it comes out sticky, check again in 5 – 10 minutes. The top gets nice & brown. Once ready, let the loaf sit in the pan for another 10 minutes before transferring it to the wire rack.